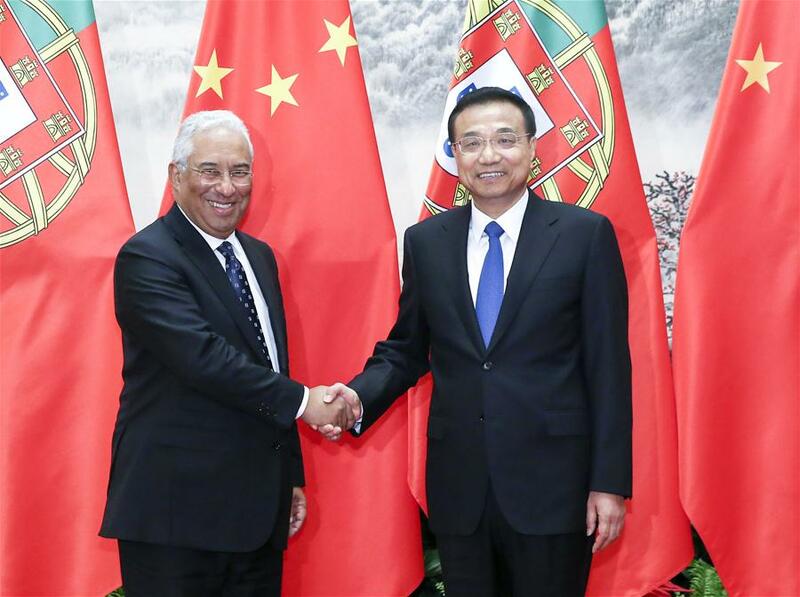 Chinese Premier Li Keqiang held a welcoming ceremony for his Portuguese counterpart, Antonio Costa, Sunday in Beijing. The two leaders witnessed the signing of eight collaborative projects after holding talks. The agreements cover areas such as energy, healthcare, infrastructure and culture. Centuries ago, Lisbon was a key port along maritime routes between China and Europe. And now, Portugal and China want to revive the legacy of old. Portugal’s prime minister says the country will play a full role in the Belt and Road Initiative. “Portugal is geographically bridging Europe, Africa, South America and Asia. It is our duty we are prepared to take. And we’re having close cooperation with the Chinese government to guarantee the participation of Portugal in the initiative,” Costa said. Economic and trade relations between the two have grown sharply over the last few years. Portugal is now China’s fourth largest investment destination in Europe, only after the UK, Germany and France. “We are willing to increase our bilateral trade, especially in crucial sectors. We discussed our cooperation in energy, in particular renewable energy, as well as in auto manufacturing, on how to join China's huge market with Portugal's auto parts industry. We also discussed doing more in infrastructure and agriculture,” Li said. Facing a financial crisis and a financial bailout package led by the EU and the International Monetary Fund, Portugal has been selling off some of its main state companies and stakes in some of the country’s key companies. Chinese investment has poured in particularly the investment by China Three Gorges in Portuguese power company EdP and of China State Grid in power grid company REN. Li has also called for more ties in technology. “Because we are pushing to enter other markets together, we need to combine China’s market potential and advanced equipment manufacturing capabilities with relevant advanced technologies from Portugal, in order to create a win-win situation,” Li said. After Beijing, Costa will visit Macao. Li and his counterpart are set to speak at the Forum for Economic and Trade Cooperation between China and Portuguese-speaking countries. 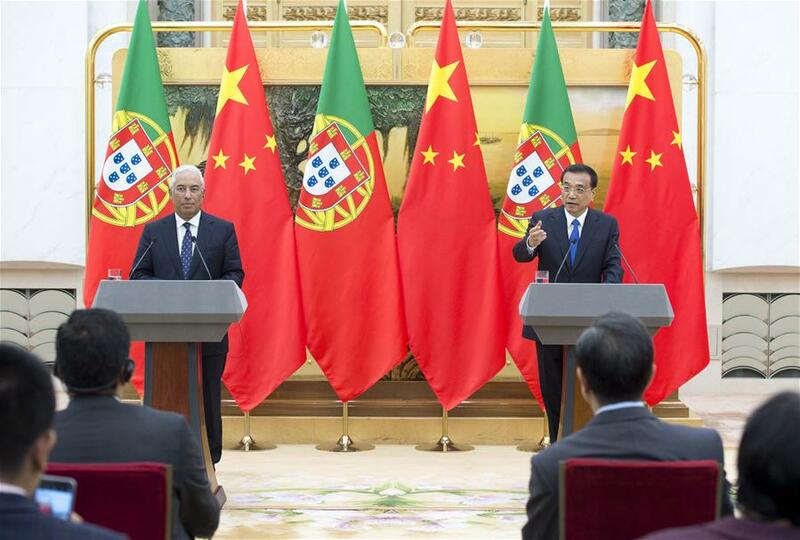 At today’s press conference, Portugal’s prime minister also announced the launch of a direct flight from Beijing to Lisbon starting June next year, paving the way for better connectivity.